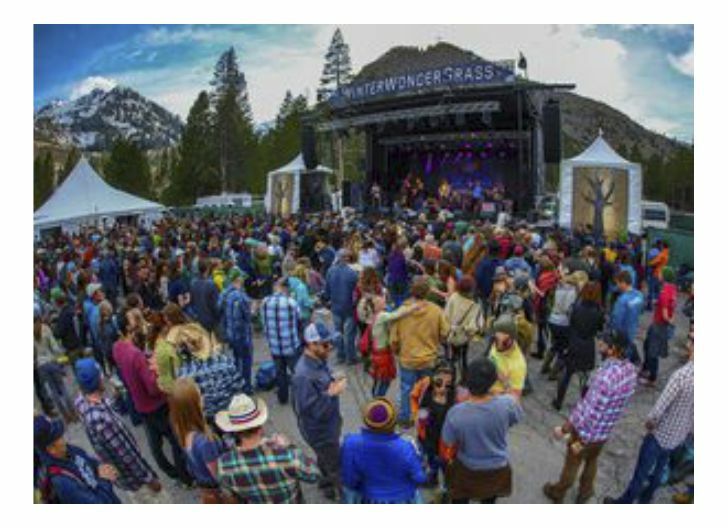 No doubt about it … Truckee has proven itself again as a top ski destination. 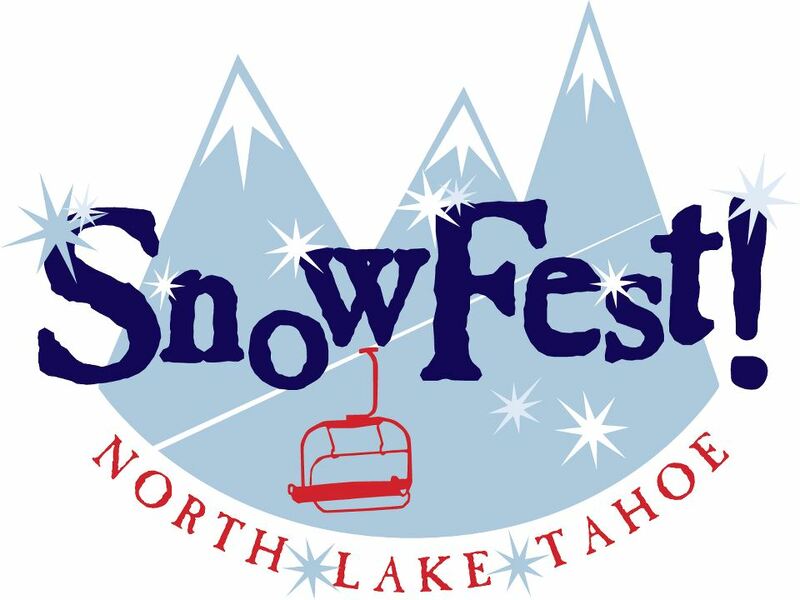 With all the snow this year, hotel occupancy is up, lodging is bustling, downtown is lively, and the slopes are active. The Truckee Tahoe region offers over 500 unparalleled ski runs but you can also choose other activities such as moonlight snow shoeing, ice skating, snowmobiling, snowcat tours, sledding … even building snowmen and making snow angels. And at night, enjoy wine tasting, exceptional dinners, musical events, even s’mores by the fire pit. Add it all up, and it means epic fun and adventure. So when planning a trip to the area, it pays to know someone who has all the scoop on available lodging and events. And WE are that “someone” for you. Take a moment to check out the upcoming events below, pick your dates, then give us a call about where to stay. With the growing popularity of the area, it pays to plan in advance so we’ve included a few events for March and April as well. Just how good are conditions?Well, it’s no secret that we’ve had some snow here! The snowpack in the Lake Tahoe Basin has tripled since those January storms that made for an historic 2017. Levels went from 62 percent to 191 percent in a month’s period, which is sixth best since the mid-1950s. 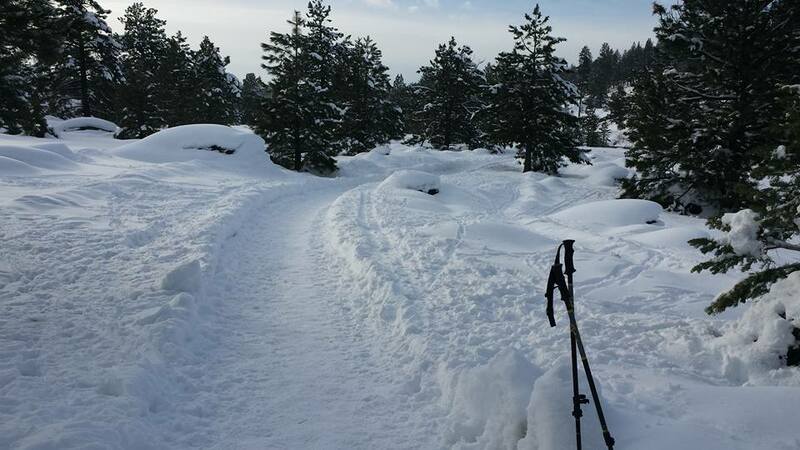 What this means, of course, if you are a snow fan, is that our winter sports conditions here are phenomenal, with something like 300″ having fallen in the area. But for those who prefer the summer, be assured that the creeks and waterfalls will be running, and Lake Tahoe herself will be at high levels … so now might be a good time to start considering your summer vacation plans. Here are a couple of sites we recommend for you to keep up on our snow reports. 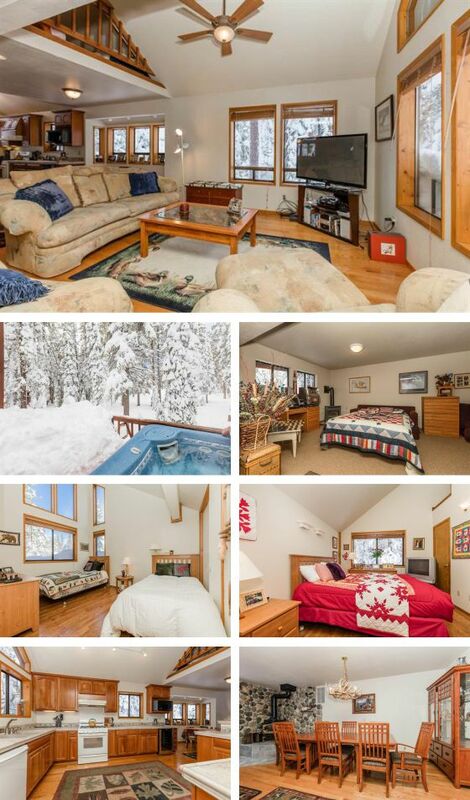 Beautiful home backing to the Tahoe Donner Golf Course! This multi-level 2,489 sf home has 4 bedrooms, 3.5 bathrooms, loft and game room. Open living area boasting an expansive kitchen, living room and dining room perfect for family gatherings. The master bedroom includes a private deck and hot tub. Attached two-car garage. Make yourself at home overlooking the 17th green! 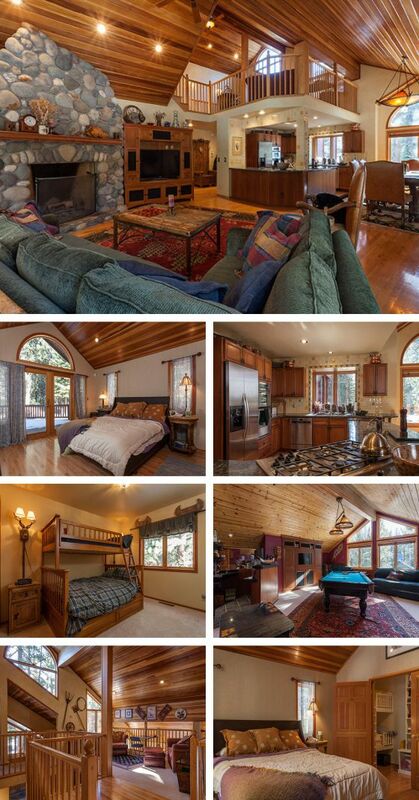 Rental includes access to Tahoe Donner recreational amenities.